Brother Edgar was born in 1910. Jackie's other brother was born in 1912. 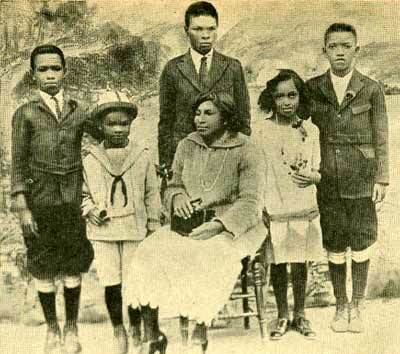 Jackie had many brother and sisters. Edgar, frank, Matthew 'Mack' and his sister Willa Mae. Born on a farm in Georgia, January 1919. He was born on a farm owned by somebody else. A league for African Americans was formed . The first all black baseball team was the Cuban Giants. Somehow by 1923 Jackie's mother saved money. Jackie's family was very poor could not afford to many things. When Jackie was only seven when the ST Louis Cardinals won the world series. Rickey the manager was with the Cardinals for 17 years. Jackie was thinking about getting a job. The great depression was going on so Jackie was thinking of getting a job. The Kansas City Monarchs were the first to play under lights. The team would travel with their own lighting system so the could play at night. No other black athlete had played for the Eagles. Jackie was one of not to many black athlete. Jackie's brother Mac made it into the Olympics. The brothers were very active and played many sports. Frank died in a motorcycle accident. Jackie made it in to UCLA and his brother would never see him play. Jackie got in some trouble at school. He was cut off by a car and chased them down. Jackie started in the military. Jackie was starting in the military on August 1944. Jackie joined the Kansas City Monarchs, baseball team. Jackie was a all around athlete and was good at baseball. Jackie took a job as a basketball coach. people thought Jackie was a good instructor so he became a coach. Jackie was talking to the manager of the Dodgers baseball team. The first thing that man said to Jackie was if he had a girlfriend, Jackie thought it was pretty personal. Jackie and his wife Rachel were married. Their wedding was held in a church in Los Angles. Jackie was about to play his first organized game of baseball. He was playing in the major leagues so it was way more intense. One Million fans came to see the Montreal Royals play. Jackie played for the Montreal Royals, a minor league team. The Brooklyn Dodgers picked up Jackie again. Jackie was out of shape. Jackie returned to baseball out of shape and was starting spring training. Was asked to help with the committee of Un-American Activities. The USSR was acting suspicious. 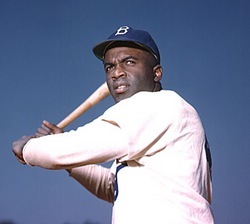 Jackie was considered to be one of the most controversial player in the game. 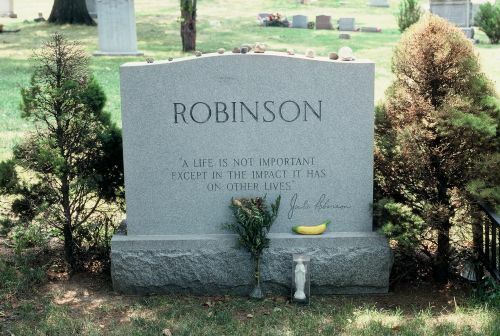 Jackie was a great baseball player and was well known. Dodgers were considered one of the best baseball team in the league. Dodgers were very good all around but Jackie stood out. Jackie was one of the best baseball players that has lived. Boston became the last team to sing a black player. 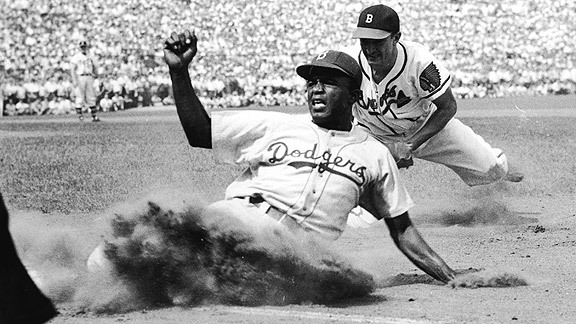 Their was a black player on every team. Jackie helped black kids and families. Jackie was a great man helping others in need. Jackie's son dies in a car accident. Nines days after throwing the pitch he died. Threw the first pitch at the world series. Jackie throws ball at second game of the World series.